Want to refresh the look of your cabinets? It’s time for cabinet refinishing from JV Cabinet Makers! Sometimes, things just need a little refreshing. Cabinets are no exception. 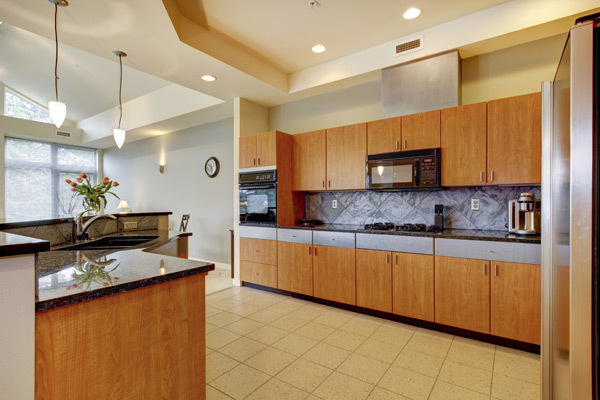 If you use your cabinets as much as we do, chances are good they’ve accumulated plenty of dirt, dust, and scratches. Maybe you just moved into a new place and the color of the cabinets drives you crazy. Maybe you’re getting new countertops, and the current look of your cabinets just doesn’t work. 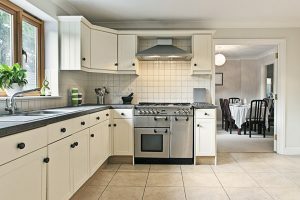 Maybe your cabinets look ancient, and you’re tired of how outdated they make your kitchen or bathroom look. No matter what makes you sigh when you look at your cabinets, the team at JV Cabinet Makers is here to offer affordable, quality solutions. Cabinet refinishing is one of the fastest, most effective ways to give your current cabinets a refreshing facelift. When refinishing your cabinets, we simply sand or chemically strip the existing finish off the wood before applying new stain or paint. The result is cabinets that look brand new and a bank account that doesn’t know anything happened. Refinishing is inexpensive, quick, and extremely effective when done by world-class craftsmen like ours. We know how to carefully remove the doors, hinges, and hardware before stripping the wood, applying new stain or paint and putting everything back the way we found it. The team at JV Cabinet Makers is dedicated to treating your home or business like it’s our own. We take every precaution to protect your property while we do our work, ensuring you get the results you’re looking for. We understand that your cabinets are an essential part of your home or business, and we are proud to help you put your best foot forward without breaking the bank. Currently this service is only available in the Yuba Sutter area. Contact us today for a free estimate!